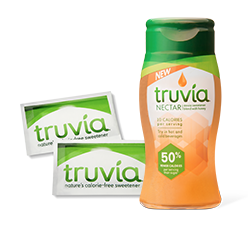 Click here to request a FREE Sample of Truvia Natural Sweetener! You’ll also get a coupon with your samples. This freebie has been posted in the past…but they have added the nectar sample. Note that if you requested a sample in the past, it may not allow you to request this. This should arrive within 2-3 weeks! ➡ Plus, you can also request FREE Samples of Zing Zero Calorie Stevia Sweetener if you haven’t yet!